Giorgio Ferrari was born in Milan, Italy in 1936. Self-taught, he has been painting since his youth but it was only when he reached the "watershed" of his 40th birthday that he decided to leave his job as a company manager and make painting his sole career. His work with oil and acrylic paints was soon joined by etching until--enraptured by the many, fascinating aspects of this centuries-old technique--he decided to concentrate all his activity on this expressive medium. Ferrari loves depicting nature in all its facets and without changing or distorting anything. 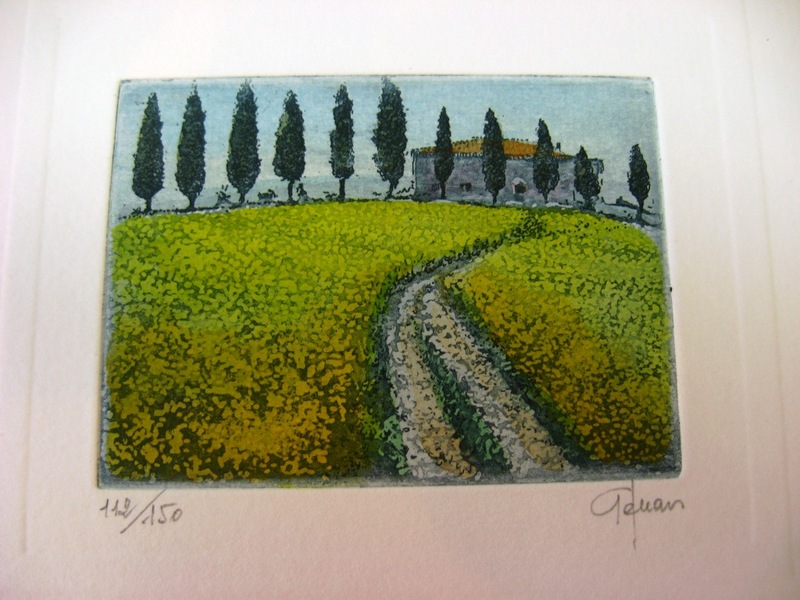 He prefers to record calm, pleasant scenes, sending out a "positive message despite the deterioration, which increasingly surrounds us.” It is certainly true that many people appreciate this vision of the environment and it is thanks to them that Ferrari's etchings leave the little village in Northern Italy to which he moved his studio to be distributed through the world. Stephen Whittle lived to create and share beauty. From his earliest years he was moved to conceive and communicate the grace he saw in the world through art. Born in Leeds, England in 1953, he blossomed creatively at an early age under the tutelage of his artist mother, Christine, first exhibiting his work in school at age 11. At 17 he left school to study etching at the Chelsea School of Art, then to Brighton College of Art where he took an Honors Degree in Fine Art in 1975. Stephen spent the next four years in Switzerland and England working as an artist, teacher and graphic designer. In 1979 Stephen came back full time to the complex medium that he would make his own. He was drawn to express his vision through two venerable English artistic traditions: the “English Landscape” and the craft of etching. 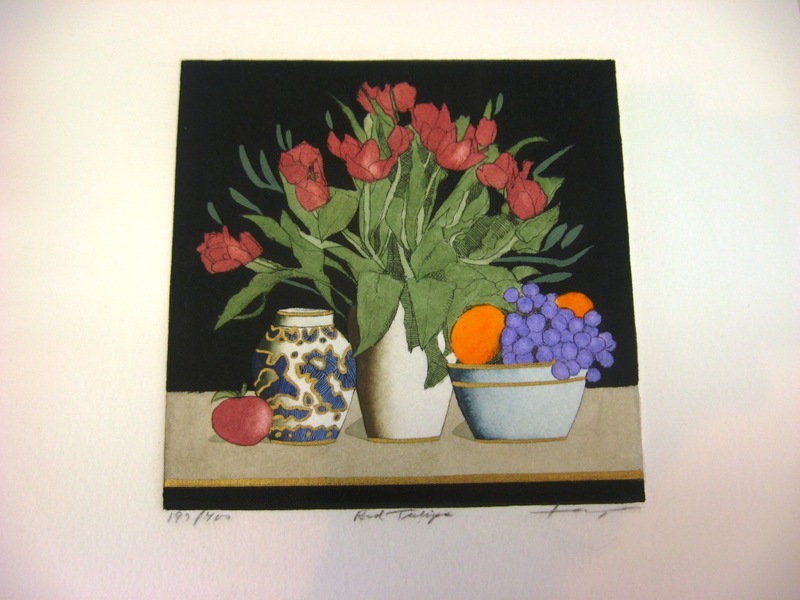 Largely self-taught, Stephen established his etching studio in Lancashire in 1980, with the help of his father, Donald, who bought his first etching press. He was drawn to the harmony and balance of the natural world, and this was (and would remain) the subject of much of his etching work. He received encouragement from Robin Tanner, the distinguished English etcher who in his turn worked in the pastoral tradition of the great Samuel Palmer. 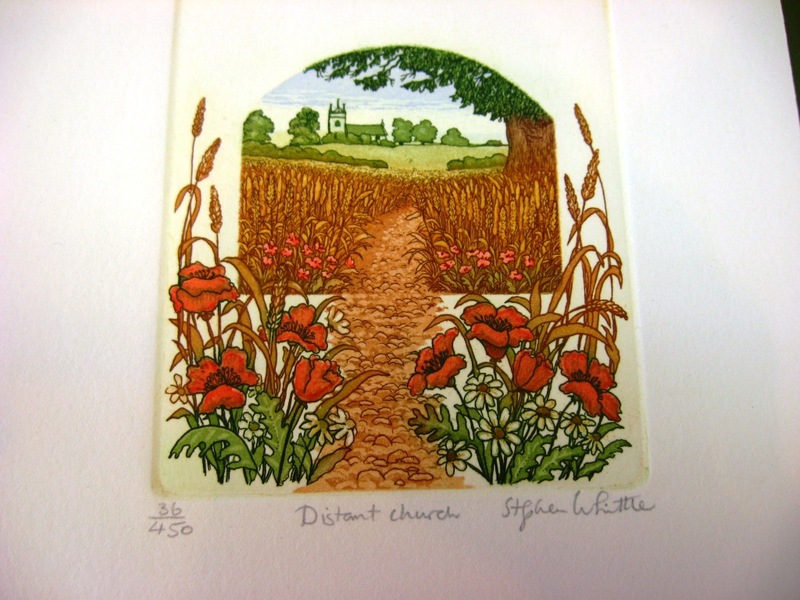 In 1981, Stephen had his first exhibition in London at the Drian Galleries and was commissioned by Christies Contemporary Art to do a series of etchings with pastoral themes. His work quickly gained a following, and throughout the 1980s and 1990s Stephen worked with major art publishers and exhibited in art shows in London, Tokyo, New York, Paris and Frankfurt. He has had one-man or group shows in a total of fourteen countries and is held in both corporate and private collections worldwide. In 1992 Stephen moved with his family to the United States, first to Fairfield, Iowa and in 1997 to Sonoma County in California. Taking inspiration from his new environment, Stephen expanded his subjects to include vineyard, ocean and domestic settings as well as the English countryside. In his last years he began to expand his medium into painting and mixed media and his subject matter took on a more visionary tone. To see his giclées, visit our sister site at: www.whittlestudio.com. Stephen passed away from a swimming accident in Lake Tahoe when he was on holiday with his family in July of 2000. 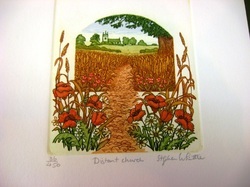 Stephen Whittle took the traditional art of etching and fashioned it into something both fresh and familiar. Each creation is an intricate, intimate world of beauty that beckons us to enter and rest for a timeless moment of tranquility. Stephen’s deep sense of spirituality was expressed through his desire to create beauty and harmony and share it with others. Frank Kaczmarek was born in Boston MA in 1940. The son of a fashion designer, Frank began painting and drawing at an early age. He is a self-taught artist and started his career as a street artist in Quebec. Later, he worked with artists in New Orleans and Copenhagen gaining experience in style and technique. He also spent a lot of time in Paris where the museums and atmosphere contributed to his artistic viewpoint. Commercially, he settled on the nautical and floral subjects because of the daily pleasure he receives from working with them. With nautical images, the combination of air, water, light, and shadow with a beautiful sailing vessel creates a magical composition. The floral still-life offers an endless variety of colors and objects combined with the play of light giving them a kind of mystery. 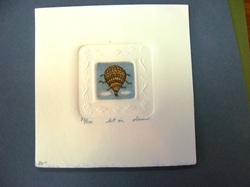 To produce his prints, Frank employs the techniques of etching and watercolor. After the drawing for the print is etched onto the copper plate, it is immersed in an acid bath which bites away at the etched lines. Then etching ink is applied to the surface of the plate, forcing the ink into the etched lines. The inked and polished plate is placed on the bed of the etching press and a damp sheet of 100% rag paper is placed on top of it. The pressure of the rollers embosses the lines of ink into the paper. The process is repeated for each etching. After the edition is printed, Frank then handcolors each print. An important aspect of Frankâ€™s work involves the interaction of the watercolor and the moistened paper. He utilizes the absorbent properties of the paper to create a relaxing and calming effect while the hard etched line give a contrasting realism to each print. For over twenty years, Frank Kaczmarek etchings have been featured in galleries throughout the United States, Europe and Japan. Mr. Kaczmarek resides with his family in Cambridge MA and works at night because it is quiet and peaceful and contributes to his concentration and creativity. David Olson was born in Indianapolis Indiana in 1943. He earned his BFA from Pratt Institute in NYC drawn to New England where he completed his MFA at Boston University. David was so taken with the rich variety of New England weather, landscape and history that he knew he had found his home. He and his wife moved to New Hampshire in 1970 where they raised their sons and enjoyed the quiet fulfillment of the rural life. Their sons are grown and married and David is reveling in the role of “Grandad”. As always, the events of his life color David’s choice of subject matter and his recent miniature etchings reflect the joy he finds in his growing family. Fishing lures were created for his son Adam, who enjoys fly-fishing, Jake’s cat Miles stars in the cat series and a series of miniature shoes were inspired by his granddaughters Brooke and Lily, “the girls”. His own love of nature has resulted in some very fine etchings of birds, trees and flowers. David, a juried member of the League of New Hampshire Craftsmen is exhibited across the United States, Europe, Central and South America, Southeast Asia and Australia. He is the antithesis of the reclusive artist and delights in the friends and acquaintances that he has met through his work. The process begins with a highly polished metal plate (copper or zinc) The artist coats the plate with a tar like material which is resistant to acid. A design is drawn through the resist with a metal etching needle, which exposes the metal beneath. The plate is imrnersed in an acid bath which etches or 'bites" the exposed areas. The darkness of each line is dependent on the length of time that it remains in the acid. Once the plate has been etched, it is ready to print. Ink is forced into the etched lines and the surface (still polished ) is wiped clean. A piece of 100% rag paper is dampened and placed over the plate which is then put through a hand operated press with very high pressure. The result is an exact, but reversed image. Each print is then hand-colored using high quality watercolors. Every print is individually printed and colored by the artist. It is then numbered. The bottom number indicates the number of prints in the particular edition, while the top number tells you at what point in the edition, your particular print was printed.